Don't let joint pain get in the way of a good workout. Here's how to train your legs on bad knees. Too often, a set of lousy knees can get in the way of a “good performance” in the gym on leg day. I always hear the classic line, “My muscles are strong enough to lift it, but my joints can’t take it.” Even worse, egocentric behavior coupled by social pressure makes a lifter attempt to work through the pain, which is never a good idea. In my opinion, the most common joints that get no love are the knees. They’re involved in any major lower body movement, and unlike the shoulders, they’re responsible for less range of motion, making their susceptibility to injury that much higher. A good first step is to get a practitioner to assess the damage if your knees are in a constant state of pain. Ensure that the issue isn’t too serious. Tendonitis, Patella Femoral Syndrome, and other chronic injuries like it are definitely things that can be curbed through proper training and tissue quality methods. The choices you make in the gym on leg day will be make-or-break factors for pesky knees. And don’t worry – I’m here to help. 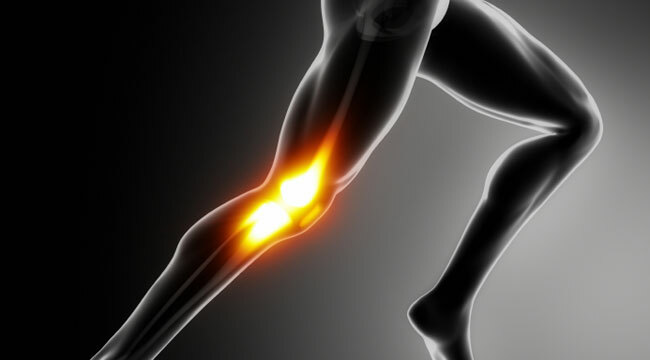 Looking at the condition of the muscles that surround the knee joint is important when it comes to alleviating undue stress. Stretching can do some good, but what’s more effective is to use a dense foam roller. This won’t be the most comfortable thing to do, but pay special attention to the muscles of the quads, IT band, hips, and inner thighs when rolling. When your muscles get a chance to relax and "let go," the knees won’t be pulled as far out of position and maintain proper tracking. Remember, if the foam rolling feels like a cakewalk, it’s time for a denser roller!